This is a snippet from a the review of the NeatDesk at Obsessable.com. We tested NeatWorks Version 4 SP1 for our review. It performed well in native XP, however, running the software in emulation on OS X via Parallels proved very slow and even crashed a few times. For that reason, if you're a Mac user, we'd recommend against purchasing a NeatDesk with the idea of using the scanner in a virtual instance of XP, although if you don't mind rebooting into an actual Boot Camp installation, NeatDesk works great. There are basically two different modes you can run NeatWorks in, either Quick Scan Center mode or full application mode. 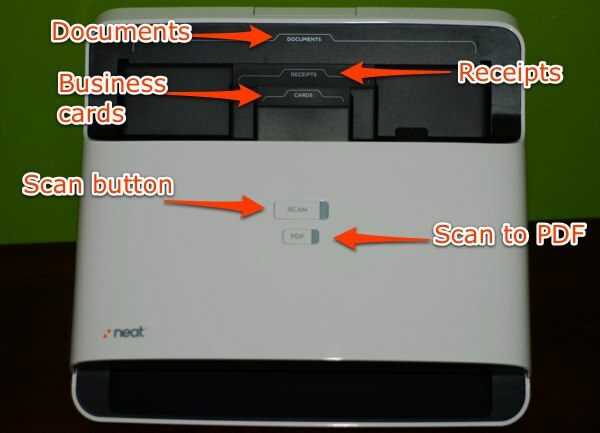 In Quick Scan mode, you can set basic scan options like choosing black and white / color or single / double-sided scans, choose to scan directly to PDF or to scan to the application, and you can set advanced options like multi-page scanning, automatic removal of blank pages, and opening the generated PDF if you're scanning to PDF.